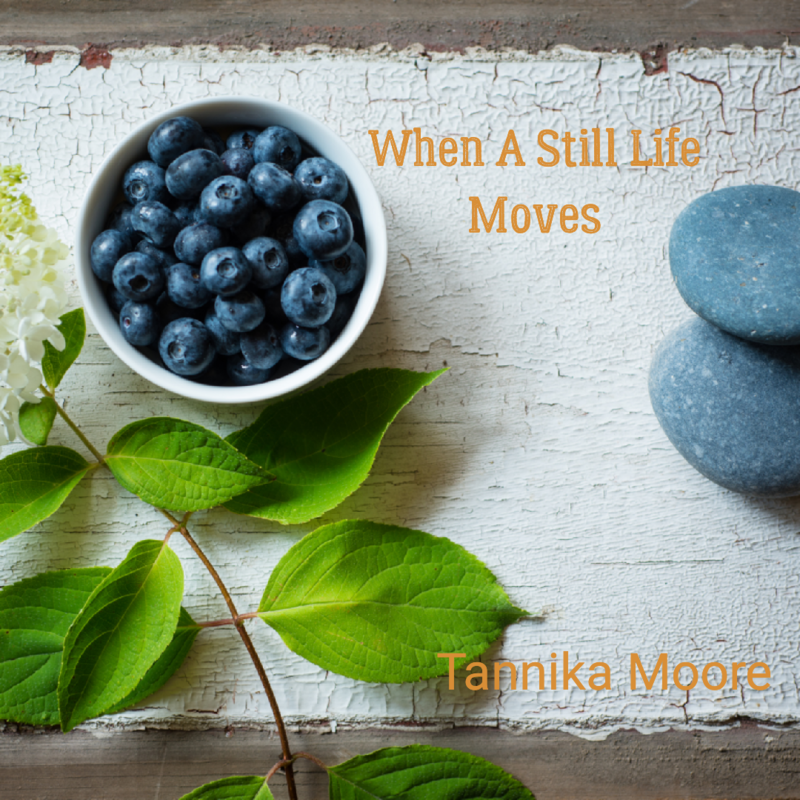 STCF Poetry Book and Moore – Page 3 – Author, Tannika Moore, is here to encourage you along your journey! If I can be honest, this verse and circumstance of Moses have always been frightening to me. How could Moses do all of those great things in the Lord, meet God face to face, have such awesome faith and still not make it into the promised land? His anger and his unholy act towards God cost him the promised land. He could only view it from a distance. That same day the Lord said to Moses, “Go to Moab, to the mountains east of the river, and climb Mount Nebo, which is across from Jericho. Look out across the land of Canaan, the land I am giving to the people of Israel as their own special possession. Then you will die there on the mountain. You will join your ancestors, just as Aaron, your brother, died on Mount Hor and joined his ancestors. For both of you betrayed me with the Israelites at the waters of Meribah at Kadesh in the wilderness of Zin. You failed to demonstrate my holiness to the people of Israel there. And for that Moses was not allowed to go into the promised land. His resentful anger, pride, and disobedience rerouted him from what God had for him. How many times have we come close to our breakthroughs and promised lands only to view it from a distance. It is like chess. We have to be careful how we move. God has kept us and covered us from the perils of life. He has loved and still loves us unfailingly. He desires the best and wants the best for us. He desires relationship and joy between Him and us. He wants us to succeed and to fulfill our destinies. He wants us to enter into our promised lands. Don’t let fear, pride, resentment, anger, lack of surrendering to Him, unforgiveness, disobedience and doubt, sin and lack of holiness keep us out of them. I dont want to view my promised land from a distance. No way! I am going in in Jesus’ name with Him leading the way. But first, forgive me Lord for my pride, disobedience, fear and sin that have kept me from pursuing you and help me to seek ye first the kingdom of God and Your righteousness. I was an Art & Design major in college before I changed to English. It was during this time I learned about still life. I remember eying a bowl of fruit neatly propped up on its stand trying to capture its essence, simplicity, beauty, and shadows. A Still Life is a work of art displaying objects such as flowers, fruit, a vase, a skull, etc. These tangible objects are still and lifeless but express liveliness and simplicity in its form of art. Thinking of ideas for poems, my experience with this work of art would later lead me to the following title, When A Still Life Moves. What happens when a still life moves and what or who gives it the life it needs to no longer be still? Jesus is our life giver. If the same power that raised Him from death lies within every believer, then we too have been raised and positioned with Him. We are no longer the still lives. We have been enabled to move and fulfill our destinies as one and as individuals. Read When A Still Life Moves from my first book, Setting The Captive Free. Its spirit, you can feel. For it has learned to be still. And embraced the Creator’s reason. It is not limited or bound to one site. And can no longer be simply defined. And it attracts Life to it. True existence and living we choose. 🎵🎧🎵I love music and one of my favorite music eras is the 90s, New Jack Swing, real sangin’, the group’s era. So, since it is my birthday tomorrow–well in 33 mins–let me share some of my favorite songs. Welcome to my new series where I will be free writing and writing flash fiction to have fun, to regain my discipline as a frequent writer, and to stretch and strengthen my writing skills. This is an old story I originally wrote during college, years ago, for my creative writing class. It is a fictitious, urban story that came from I don’t remember, but it was fun to write. Editing and few changes were made prior to publishing here. “My name is Kenneth,” said the stranger as he walked onto the blue and grey bus just as the driver opened the doors. Jackey looked both ways. Desmond’s car was nowhere in sight. So she decided to get on the bus before it took off. Jackey sat at the front of the bus. Kenneth sat across from her. “You ask so many questions.” Jackey shook her head and laughed. It had been a week after Jackey had been stood up. She would not talk to Desmond. Jackey ignored his calls and instead she would call Kenneth. Maybe it was because she and Desmond had become just as much as strangers as her and Kenneth was. Maybe it was because Kenneth made her laugh or because he was different from Desmond, from his looks to personality. Kenneth worked a steady job at a shipping company and didn’t seem to have a problem with it except for sometimes working late at night to the early morning. He wasn’t a thug. He was more open and they would talk for hours on the phone. He had plans, not just goals. He had plans to save enough money to take criminal justice classes at a local college. But so he said. Although Jackey liked Kenneth, she still thought about Desmond. A month went by and they hadn’t talked. Desmond had stopped calling after awhile. Jackey was busy with voice and dance practice, classes, and styling hair. She and Kenneth only went out once for pizza. They talked on the phone but not as often as they did after they first met, and sometimes Jackey would ride the bus with him. One night after cleaning and locking up the salon, Jackey turned down rides from Sandra and Brian. She walked outside to the bus stop at 9:50. Kenneth was not there standing under the dim light. She glanced down the street. The streets were quiet. Pieces of paper were flying back and forth in the Chicago winds. The salon was closed, locked and dark. The store was open but there seemed to be no life near it except for Jackey and the clerk tucked away behind the counter inside the old store. Jackey turned back around facing the streets and flipped open her phone. It read 9:55. Maybe he’s running late again, she thought. She heard the old convenient store’s door creak and shut. She saw a shadow appear upon the ground next to her. She turned her head around to see a silhouette of a man in a black leather jacket. To her dismay, Desmond stepped from out of the dim light with both hands in his pants pockets just looking. His head was cocked to the side. His eyebrows raised and his eyes were sharp and penetrating. Bright lights slowly covered Desmond and Jackey as the bus came rolling and rocking down the street. “Hold that bus,” shouted a man running down the street towards Jackey, Desmond and the bus. It was Kenneth and he noticed Jackey. She stood in shock as he approached her and Desmond. The bus stopped right in front of them. Kenneth made it to the bus. 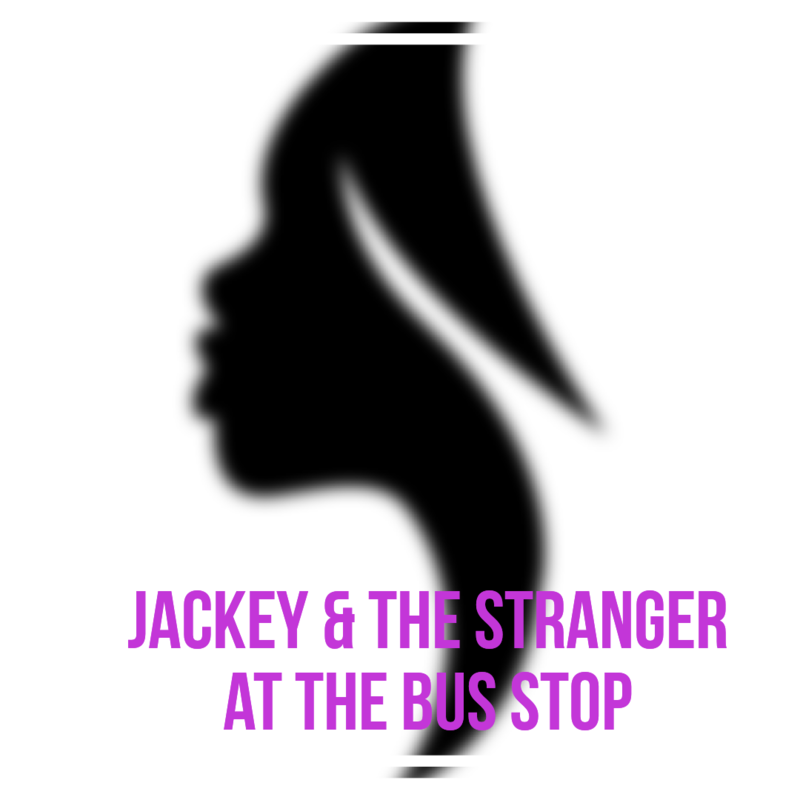 He stopped alongside Jackey but she said nothing. She was embarrassed for some reason. Desmond watched both with his head still cocked to the side, his cell phone in his hand. He and Kenneth wore the same black leather jacket. Kenneth walked onto the bus, paid his fare, and took a window seat in the rear of the bus. His eyes locked into Desmond’s eyes as the bus took off. Jackey turned and watched the bus go down the street. She was going to tell Kenneth that she wanted him and her to just be friends. “Why didn’t you get on the bus with him?” asked Desmond. “Are you ready to talk? asked Jackey. “Can I take you home then?” Jackey looked him up and down. He smiled that same smile that softened his rough features. “Yeah,” she said almost in a whisper. How come you didn’t pick me up that night?” she asked curiously. “Man, I’m sorry Dez,” said Jackey. “I’ve been thinking about what you said about my brother and those promises I made.” Desmond said as if those very promises had just rushed back to his mind. She put her left arm around his back and her hand on his chest. He put his arm around her waist and his hand on her hip. She leaned in closer. She knew she had to apologize to Kenneth, but right now she wanted to make things right with Desmond. Please feel free to leave feedback. It was a week after Jackey and Desmond’s argument. On a particular night, Sandra, Brian and Jackey cleaned and locked up the shop. Brian and Sandra walked to their cars ten feet from the bus stop. “You sure you don’t need a ride,” asked Brian. “Desmond is on his way. I’ll see you Tuesday.” Jackey watched the two get in their cars and she went and stood next to the white and blue bus sign. Jackey and Desmond had not broken up, and in fact they had had arguments before but never anything major. Yet, Desmond did not apologize to Jackey and he promised he would pick her up from work like he always did. And as always, Desmond took his time like he did down their high school hallways. Jackey was leaning on the sign’s pole. She flipped open her cell phone. It was 10:50. The only lights came from the street lights and the dimly lit old convenient store. She let out a deep breath and sighed. She was going to go back into the shop. She had the key and was starting to feel the chills after waiting in the cold. “What time does this bus come,” asked a startling voice from behind her. Jackey quickly turned around. Her medium long black hair with plum colored streaks flapped against her face. She hadn’t noticed the stranger standing against the old convenient store next to the salon. The store was so old that the signs were missing letters and the door had chipped paint. The light over the door and inside the store was so dim that if it wasn’t for the street lights, there wouldn’t be enough light to guide customers into the old store. The stranger stood in the shadows under the dim light waiting for an answer. “I think it came at 10:30,” said Jackey. “I’m already running late,” the man said. He bent his leg and put his feet up on the store’s brick wall. He flapped his hand against the bent leg’s thigh. Jackey squinted but couldn’t see the man’s features clearly. “Why didn’t you get a ride with your friends?” the stranger asked. “I’m waiting for my own ride,” said Jackey. “By the way, do I know you?” she asked defensively. “I know and why you bothered by it anyway,” Jackey said rolling her eyes. She didn’t mean to be hostile but the stranger was right. She didn’t need to be out here at night talking to God knows who and waiting for Desmond. “Just concerned,” said the stranger. As the bus finally neared, the stranger who was wearing a brown work uniform and black leather jacket stepped forward out of the dim light. He was a clean cut guy and wore a haircut that looked as if it was freshly cut. His eyes were dark brown and shiny. His eyebrows and cheekbones rose up when he smiled. His mouth formed a crooked but pleasant smile. Jackey was taken by surprise and she smiled back. This poem/prayer is dedicated to those who may be suffering from anxiety. I understand how hard it grips you and how as a result you feel hopeless. God sees our tears and He can erase all of our fears. Trust Him. I’m losing my strength to fight. And let Your healing wells run deep. And every thing will be fine. 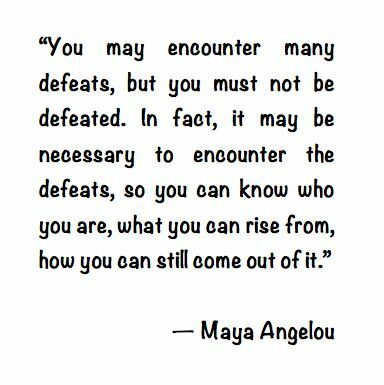 And I will survive today and continue to faith it through.